Acupuncture is the placing of fine needles into specific points on the body for treatment of a range of disease and disorders. It is based on the principles of traditional Chinese medicine, but a Western scientific approach has now been adopted. It has been used by the Chinese and many other Eastern cultures for thousands of years. It is now used extensively in human medicine and even provided by the NHS. The Traditional Chinese Medical approach involves balancing the forces of Yin and Yang by stimulating specific points along the line of meridians on the body. This approach has links to Western science, as these points are often located over nerve ending and the balance of Yin and Yang somewhat relates to the sympathetic and parasympathetic nervous systems that govern our bodies. Western scientists are still researching how pain is created in animals. Acupuncture, like many treatments and medications, is not completely understood but the beneficial effects are obvious for a range of conditions. However, it has been shown that acupuncture stimulates a range of neurotransmitters (chemicals that stimulate or inhibit nerves, such as endorphins) and causes a small point of nerve stimulation reducing the brain’s perception of pain elsewhere. Acupuncture is mainly used to treat diseases causing pain and inflammation. It is very important that a diagnosis of the problem has been made before acupuncture is attempted. If you would like to know if your pet’s condition is suitable for treatment please contact the practice. The risks of acupuncture are very low, and with the first treatment the most common side effects are falling asleep or a slight worsening of clinical signs due to your pet over responding to treatment. An over response is usually resolved by the following treatment. This is an indicator that your pet is a strong responder and suitable for further less intensive and frequent therapy. Needles are all single use and sterily packaged so the risks of infection are minimal. The needles themselves are very fine (finer than vaccination needles) and most animals do not notice them being placed. The effects of acupuncture vary from animal to animal, some being strong responders and some weaker. It will take an initial course of initial treatment to assess the response of your pet, as most animals do not respond fully with the first treatment. Due to this we will recommend you pet stays on his/ her current medication until the effect can be assessed. Many pets will be able to reduce the dosage of their medication, attend the vet less frequently and/or enjoy improved quality of life with treatment. 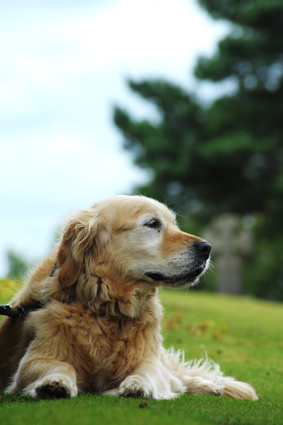 Some pets discontinue medication entirely. If you think your pet may be suitable please contact the practice. 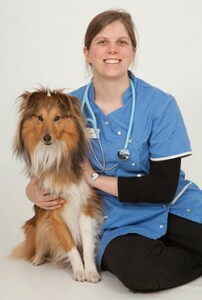 Our Veterinary Acupuncturist, Laura Pugh, will contact you about a treatment regime. An initial appointment lasts approximately 40 minutes to allow for a full examination and assessment. Follow up appointments last approximately 30 minutes. The frequency will depend on your pets condition and response. Pet insurance will often cover the costs of acupuncture treatment-check for “alternative treatments” on your policy! Or ask to speak to Laura for a chat.